Wow… have things changed over the years in the collection agency industry. Where do I even begin? It used to be that companies would have an actual “credit” department with actual “credit managers” who were the gatekeepers to ensure product didn’t just walk out the door without at least some comfort that the product (or services) would eventually be paid for. Credit managers were educated and would attend classes, seminars or conferences and would strive to learn the credit collection process. Honestly, only when you understand the obstacles you will face when collecting past-due accounts, will you know what it is you actually need to learn or understand to better your chances of collecting accounts when they become delinquent. With economic turbulence facing many businesses, they have cut back on accounting positions and have meshed them into a more general position where the employee will wear many hats from accounts payable, accounts receivable, payroll, human resources, etc. The outcome of this is an employee who may have general knowledge in a lot of different areas, but often not a lot of knowledge specific to any one area. This isn’t their fault. They just don’t have the time. Years ago, a majority of our clients would have a credit department and would get credit applications signed by their customers. Now, very few clients get credit applications and some aren’t entirely sure exactly what a credit application is. Credit applications are extremely useful for many reasons. A credit application should ask the customer for their true, legal business name and what type of business they are (corporation, partnership, dba, etc.). I can’t tell you how many claims we receive on a daily basis where the company name is completely wrong and or doesn’t even exist. If you are proceeding after a business for collection of a bad debt, you better be able to determine exactly who your debtor actually is! We have seen several instances were a company will get a judgment on their own (in small claims court) only to find out that their judgment isn’t worth the paper it is printed on because they sued the debtor in the wrong name. Credit applications should ask for bank account information. This is even more important now as most businesses pay by credit card. One of the most effective ways to collect on a judgment is to garnish bank accounts. If you have a credit application, at least you have possible bank account information for garnishment purposes. A credit application should ask for all contact information for your customer INCLUDING email addresses. Contacting your customers by email is quicker, faster and cheaper than sending a letter by mail. Also, people generally check their postal mail box only once a day, but they check their email inbox several times a day. A credit application should include a basic statement whereby your customer agrees to pay you interest, court costs and any other costs associated with the collection of any past-due balances including, but not limited to attorney fees and collection agency costs. These charges are not enforceable unless you actually have a signed agreement with your customer. A credit application should ask for the owners or officers of the business and should be signed by an actual officer of the business. This also helps to legally establish that your customer acknowledges a business relationship with your company and an authorized person is aware of such relationship. It is more difficult for a debtor to claim no knowledge of the debt when you have a credit application that they have signed. As the owner of a commercial collection agency, it has always amazed me the basic lack of information some companies actually obtain from their customers. We have had circumstances where the debtor is a company (but not a corporation) and has gone out of business or the business didn’t actually exist to begin with. 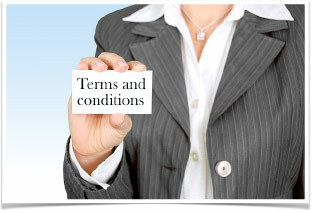 Since the company was not a corporation (or LLC) we would be able to still proceed against the owner personally. The problem is, the client has absolutely no idea who the owner is or may just have the first name, such as John, Mary or Bob. Wow.. I bet there aren’t that many people with those first names within a 50 mile radius.. right? Seriously.. this happens all the time. We are now finding that more and more companies are basically “virtual” and only exist as a website with no true location. These are extremely hard to collect against as you aren’t even sure where the debtor is. The commercial collection industry has become a lot more complicated over the last few years coupled with the fact that credit applications have basically disappeared from credit management departments, much to the delight of many businesses who may not have the best intentions or the funds to actually pay for what they purchased.